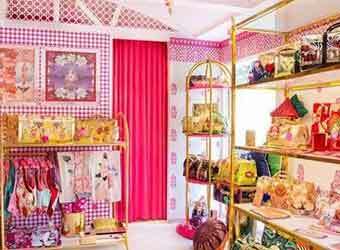 Delhi-based curated city and lifestyle guide Little Black Book (LBB) has raised $1.2 million from IDG Ventures India and Indian Angel Network (IAN). VCCircle had first reported in April that LBB has received a commitment from IDG to bring in half of the total Rs 8 crore that it plans to raise, while the remainder would come from IAN. The funds will be used for expansion into new cities, besides ramping up its technology team. “LBB represents the type of new-age disruptive digital media company that we as venture investors are excited to partner with,” said Karan Mohla, executive director and head of consumer tech and media, IDG Ventures. “LBB has created an immersive and engaged platform for consumers and brands across Delhi and Bangalore today and expanding that to five more cities in the near future." This is LBB's second round of funding. Last May, the three-year-old startup, run by Iluminar Media Pvt Ltd had raised just over Rs 1 crore from Google India MD Rajan Anandan, MakeMyTrip co-founder Sachin Bhatia and Singapore Angel Network. Founded in 2012 by Suchita Salwan, Little Black Book started as an online discovery platform for food, events, lifestyle, culture, travel, shopping. The service focuses on curated and recommended listings in the city. LBB uses content as a medium to drive an engaged audience to local enterprises, places and experiences. It partners with local as well as global brands such as Coca-Cola, Airbnb, HTC, Samsung, Nestle looking to engage with a local audience. The startup claims it has seen over 800% growth in monthly active users and over 600% growth in revenue in just about eight months. “What is interesting about LBB is that their unit economics is just brilliant. With a small team and minimal burn they have been able to build a pretty impressive brand image for themselves,” Rishabh Mehta, one of the lead investors in this round and IAN nominated board director, said in a statement. Before starting LBB, Salwan had worked with Wizcraft and BBC Entertainment India. Last year, FBPay co-founder Dhruv Mathur joined the LBB team as CTO and co-founder. The startup started its operations in Delhi, and expanded to Bangalore last year after it received its angel funding round and is now charting entry into other markets. LBB now plans to be present in every metro city in the country by the end of FY 2016-17. “We have proven that urban consumers want to move beyond traditional Yelp-esque listing and aggregator platforms; they seek more than just food and event discoveries. As a media-tech business, our north star has been driving not just monthly active users, but delivering a product that draws a highly engaged and sticky audience,” said Salwan. Others in this space include Shouut, TownTrot, Nearify, EventsHigh and GoYaNo. Nightlife lanning apps such as OUWT, Happitoo, Instabounce also list events, lounges, clubs, gastropubs, gigs, besides offering exclusive deals and table booking to customers.